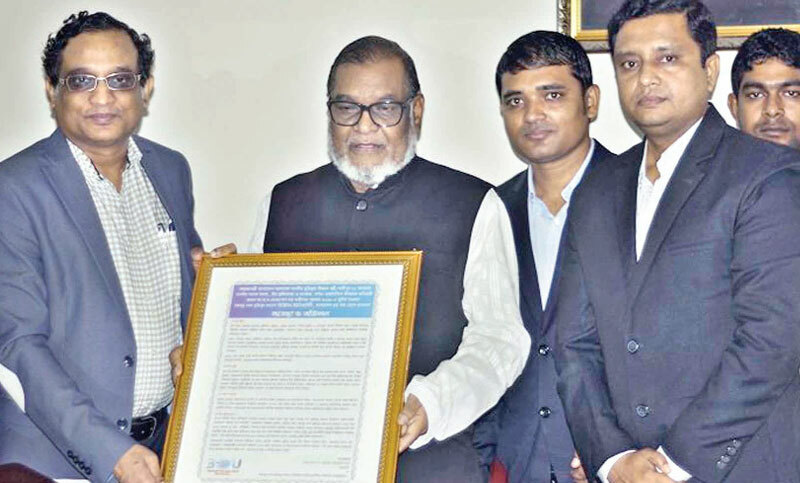 Liberation War Affairs Minister AKM Mozammel Huq on Thursday said Bangladesh will lead on fourth industrial revolution very soon through Bangabandhu Sheikh Mujibur Rahman Digital University (BDU). He also pledged that they would extend their all-out support for making the university able to lead the world in Information and Communication Technology. He came up with the remarks while meeting with the BDU Vice Chancellor (VC) Professor Dr. Munaz Ahmed Noor and other officials of the university at the his residence in the capital on Thursday morning, a press release said. A BDU delegation led by VC Munaz paid a courtesy visit to the minister greeting him for achieving Independence Award (Swadhinata Padak) this year. The university Registrar Md. Ashraf Uddin was also present during the visit.